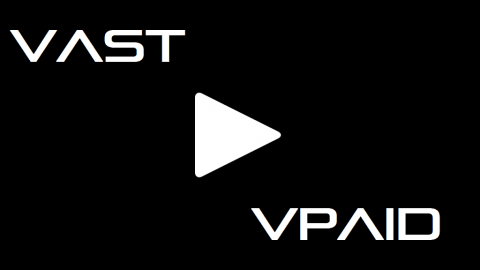 To check whether or not provided VAST is correct and contains video.Paste the VAST URL in below webpage’s VAST URL section. 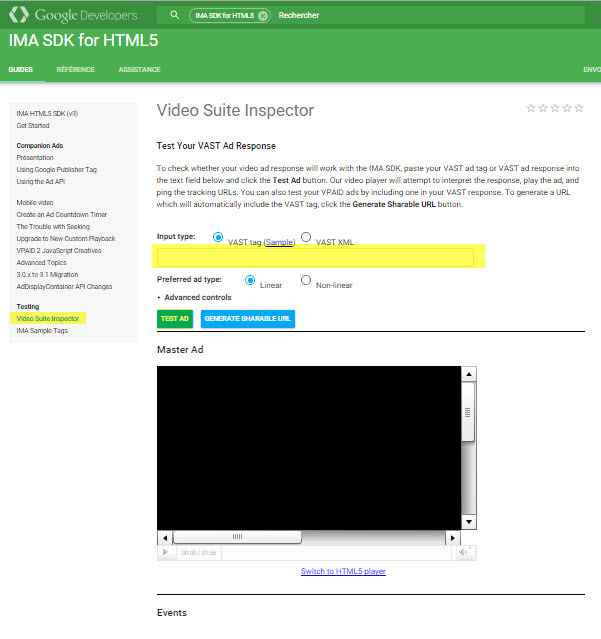 Google have added new functionality checks like IMA SDK (Interactive Media Ads Software Development Kit which is used for requesting video ads. 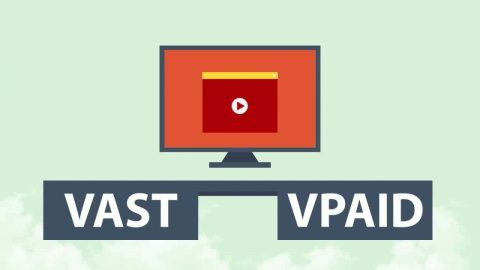 Use the video ad tag URL. 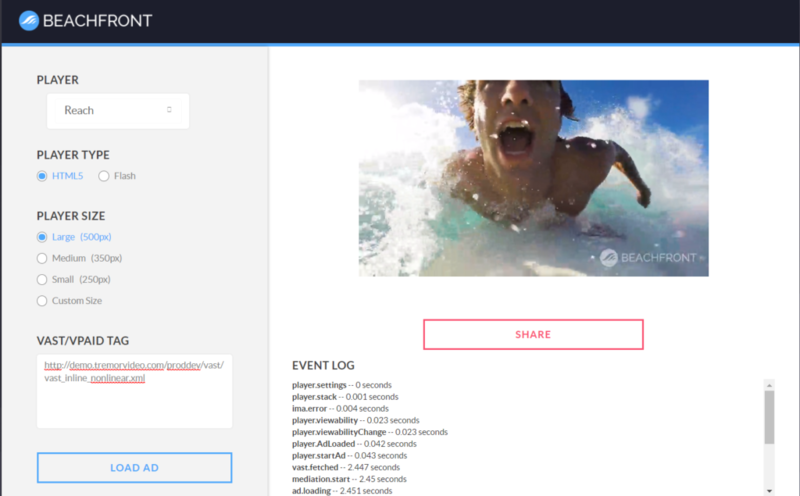 As described in other articles, you can pick up the URL in DFP or create the URL manually.The URL includes all of the parameters for the video ad tag. 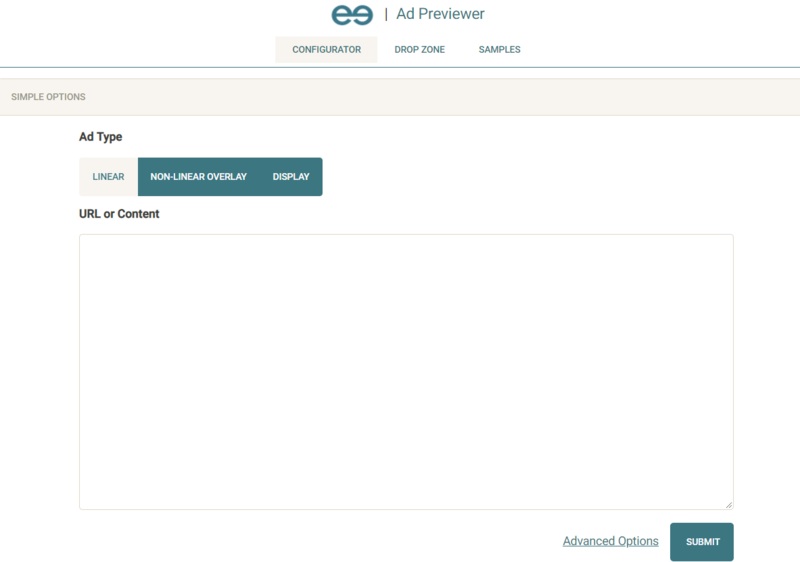 Create objects for ad requests and specify the appropriate parameters. 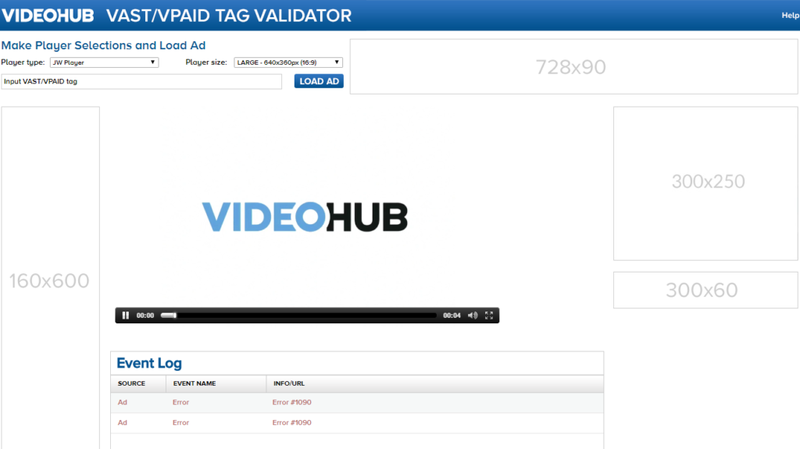 With this option, you construct a video ad tag using ActionScript 3. 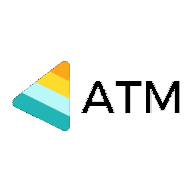 The ActionScript code calls on the IMA SDK. 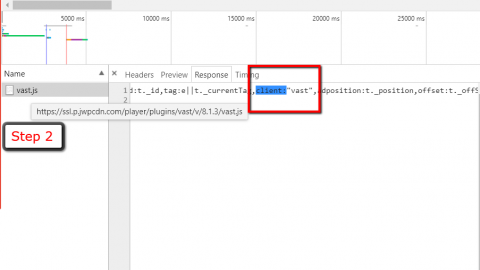 If there is %n present in the VAST URL make sure to replace it with [timestamp] because for Google Inspector will show an error if %n is not replaced. 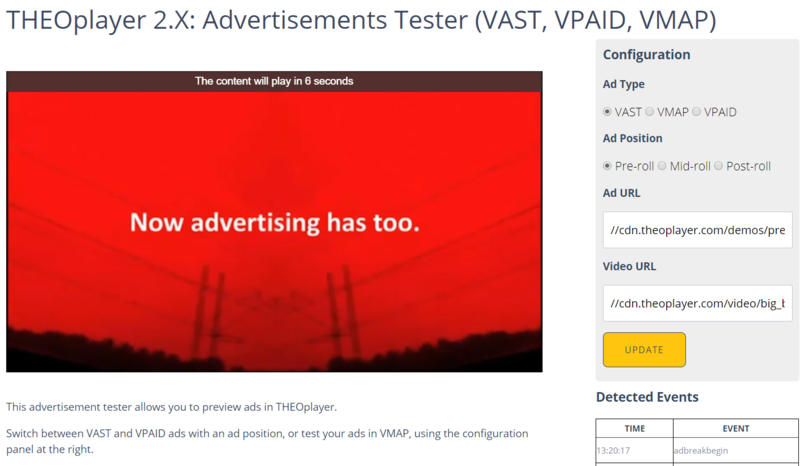 Test JW Player’s video ad capabilities using our VAST MP4, Liverail VPAID, and Google IMA sample tags or with your own ad tag. 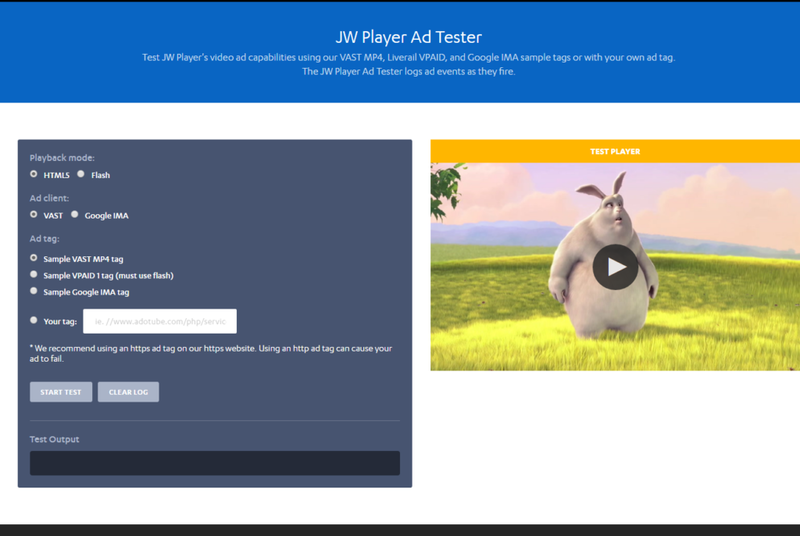 The JW Player Ad Tester logs ad events as they fire. 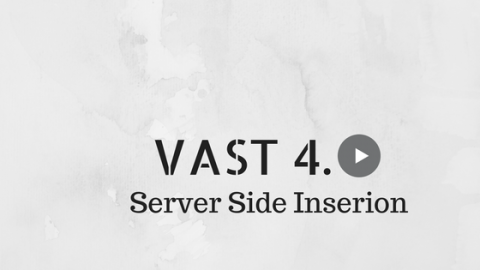 SpringServe VAST Tag Tester, Share the result with the client. 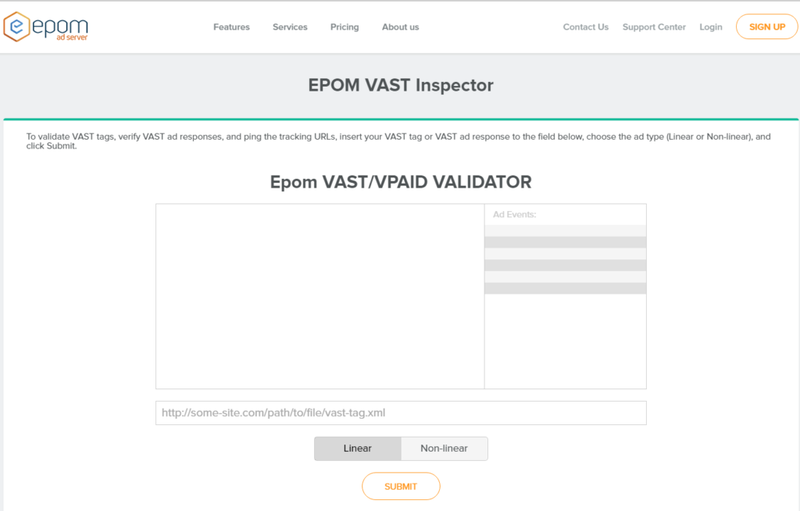 How To Identify VAST and VPAID ?